Ardkeen Quality Food Store is an independent food retailed based on the Dunmore Road in Waterford City on the South East Coast of Ireland. The team there are firmly committed to environmental sustainability and doing business responsibility. 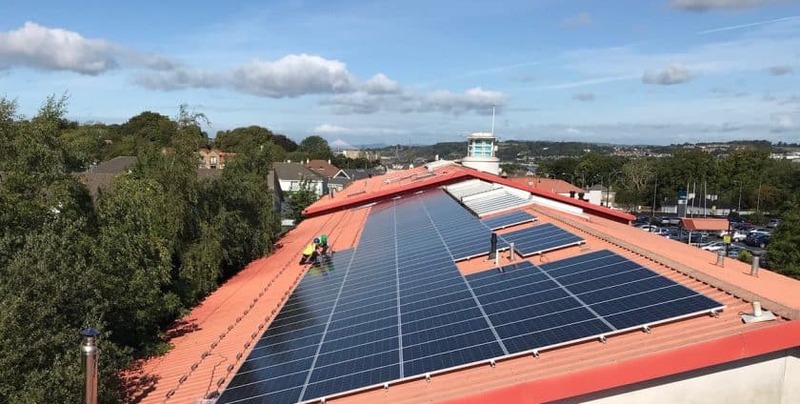 Currently Enerpower are installing a 100KWP Solar PV Array consisting of 363 rood mounted panels. These panels will generate up to 100,000KWH of renewable electricity pa. This will result in a saving of 60,000kg of C02 annually. The main benefit of solar energy is that it does not produce any pollutants and is one of the cleanest source of energy. it is a renewable source of energy, that requires low maintenance. When you install a solar pv array, you will begin to harness the energy provided by the sun using that solar technology. A photovoltaic system will work on the sunlight, rather than heat from the sun. Even during the cloudy winter days, your solar electric system will gather enough energy to power your business. 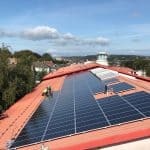 As well as free electricity when you install a solar pv array, you will get a 10 year manufacturers warrants as well as payback in approximately 5 years. The team at Ardkeen Quality Foodstore are to the forefront of sustainability, and are working towards eliminating waste and supporting renewable packaging like their compostable coffee and juice cups, and the availability of compostable and paper produce bags. When you install a solar power system, the solar panels kits will work on sunlight rather than heat from the sun. Even during cloudy days, the solar power kit will gather enough energy to power your business. Solar Energy Technology is energy that is supplied by nature and is free, solar energy can be made available almost anywhere there is sunlight. Enerpower will provide a free site assessment and technical report for each solar PV installation. Call us today to learn how your business can help the environment.